Nokia N97 is the perfect upgrade for N95 users. I have been waiting for ‘the device’ to upgrade my Nokia N95 from for quite some time. 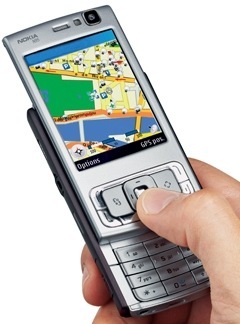 When Nokia announced the N96, a lot of us N95 users thought the wait was over, but unfortunately it wasn’t. In the flesh the N96 was a very poor cousin to the N95, both in build quality and features, so there was more going against upgrading to it than for. Then some time later, early reports about the next Nokia N-Series in line to the N95, the Nokia N97, held promise that Nokia hadn’t lost it’s meandering way and was building a decent next generation device that was as revolutionary as the N95 was when it first came out. I was eager to get my hands on the N97 to see if this was the N95 upgrade I’ve been waiting for. After reviewing the N97 for a couple of weeks now, I can heartily say that N95 users now have the perfect device to upgrade too. At first glance the Nokia N97 has a lot of features that the N95 was screaming out for, such as..
Whilst these alone, are not the only deciders for purchasing the device for myself, I’ve highlighted a few bonus features in the Nokia N97 that do make it a slam dunk decision. Design – The Nokia N97 is well built. 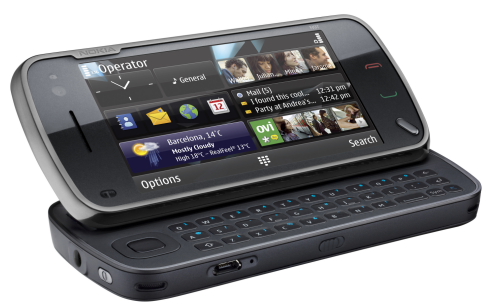 The N97 feels solid, especially the opening and closing action of it’s snugly hinged keyboard. The design compared to the N95 is very different, in that the N95 always felt stout and rugged, whereas the N97 has a svelte look and feel. Widgets – At first the widgets didn’t appeal much to me, but on using them further, they become a highly addictive information source. I’m only disappointed that there are not more widgets or even a dedicated widget area on the OVI app store so you can easily track them down. Applications – I was impressed to see many of the apps I use on the N95 now available on the N97. Applications like the Nokia Sports Tracker (http:// sportstracker.nokia.com ) are a must for anyone who wants to track their exercise regime with the N97’s GPS. However there are a few Symbian software laggards who are slow in getting their products across to the device. FM Transmitter – The FM transmitter is a great addition that I didn’t know about till after using the N97. The ability to beam music from the N97 directly to any radio makes it a great travelling companion. I just came back from a trip to Canberra and using the N97 with the car radio was far better than messing about with radio adaptors and cables. Email support – The N97 has built in email for Microsoft Exchange and other popular web based email services like Gmail & Hotmail. Whilst the application is basic it is very easy to setup and use. It also comes with an email Widget that allows you to see new email from your home screen. There are however dome dislikes, that are more frustrating than barriers to purchase. The first is that the inbuilt compass needs to be calibrated before every use. This seems very weird as other devices such as the HTC Dream do not need calibration from the user. The second issue is that there is no preloaded QR Code reader, which is completely baffling. My wife was so impressed with the review N97, that she promptly went out and purchased one. However she was bitterly disappointed that that there were no white N97s available. Hopefully these will start appearing soon. At the time of this post Optus seems to have the best post paid cap plan for the N97 in Australia. Be wary of purchasing the N97 with a Vodafone cap plans as their advertised data has ridiculous restrictions on it, like no video streaming, no 3rd party application data and does not include downloaded files over 3Gb. ← US$100,000 human jetpack for sale later in 2009.